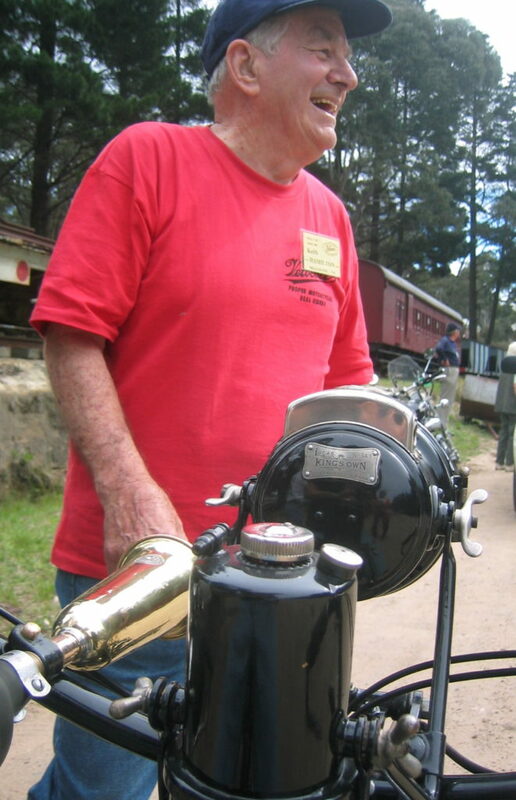 A great fellow, true vintagent, and source of marvelous stories, Keith Hamilton moved on to the big motorbike workshop in the sky in 2009. 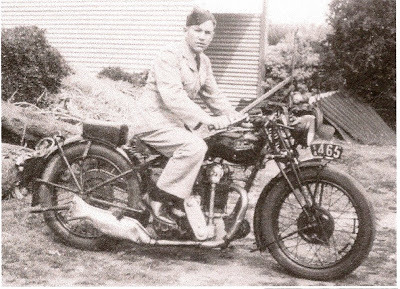 I had the pleasure of corresponding with Keith for many years, and every email or phone call would meander in the best possible ways, from his adventures during WW2, to building the first radio-equipped civilian motorcycle, to hobnobbing with Les Diener (constructor of the Eldee DOHC racing Velocette). 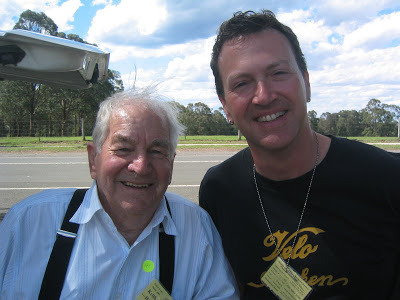 He served in the RAAF for 5 years during WW2, as a flight engineer on Catalinas, and later on B24 Liberators. In later life, he captured the attention of an online chat room as he worked to locate the PBY Catalina flying boat he’d ‘ditched’ during WW2 in the South Sea, from notes he kept on the day! 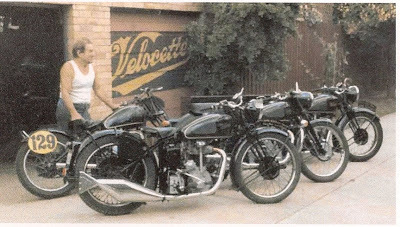 Keith was soaked through with a love for Velocette, although he wasn’t exclusive in his affections; two Pioneer Rex’s and a water-cooled 1912 model (for which he wove his own cane sidecar body) and the odd ‘other’ machine passed through his prolific workshop. 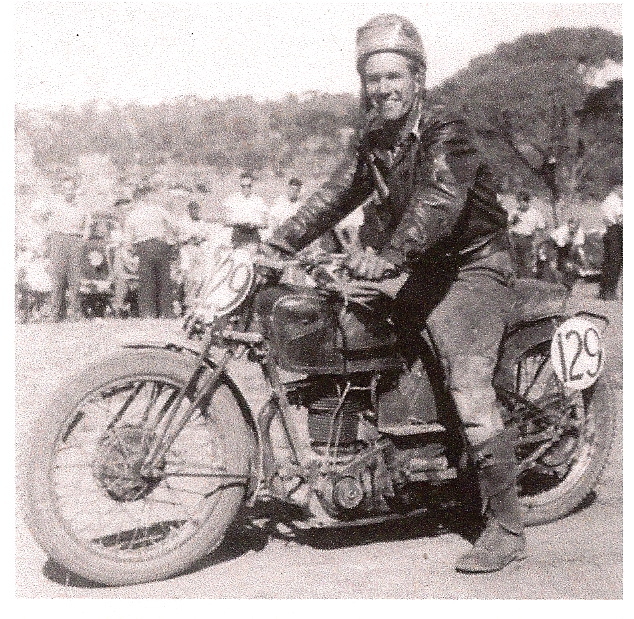 He is perhaps best remembered for specializing in the nearly forgotten 1920’s Velocette two-strokes, especially the Ladies’ Model, often seen with the man at some antique rally or other. 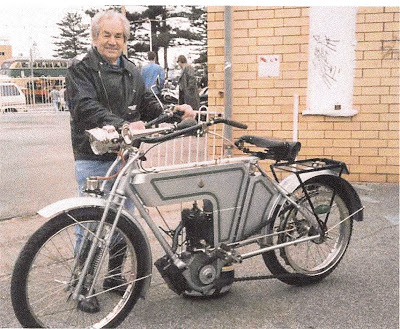 While in Sydney in 2006, I had the chance to visit with Keith and his wife Barbara, and ride his famed ‘Ladies’ Model’ restoration. The Velo lightweight two-stroke single of 225cc was a bit wobbly at low speeds, and was certainly underpowered by modern standards. It was an acquired taste, and one which Keith was increasingly unable to savor as his health declined. 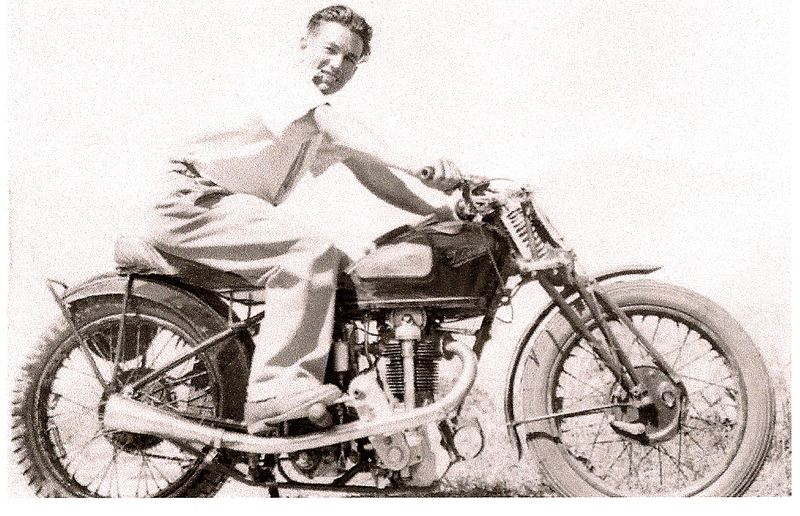 Always practical, he continued motorcycling in later years on a newish v-twin with an electric leg, stretching his riding days well into his twilight years. Born in Glenelg, South Australia, in 1921, Keith was apprenticed as a youth to his uncle, Clarence Darwin Sweet, at the small garage workshop in the backyard of his home in Warradale, SA. Keith spent much of his life far away from conveniences like motorcycle dealers and easy spare parts availability, so became a past master at ‘bush maintenance’. That’s not denigrating his work, for it was always first-class, and never bodged – rather he was just as likely to make a part, small or large, as to buy one from the factory. 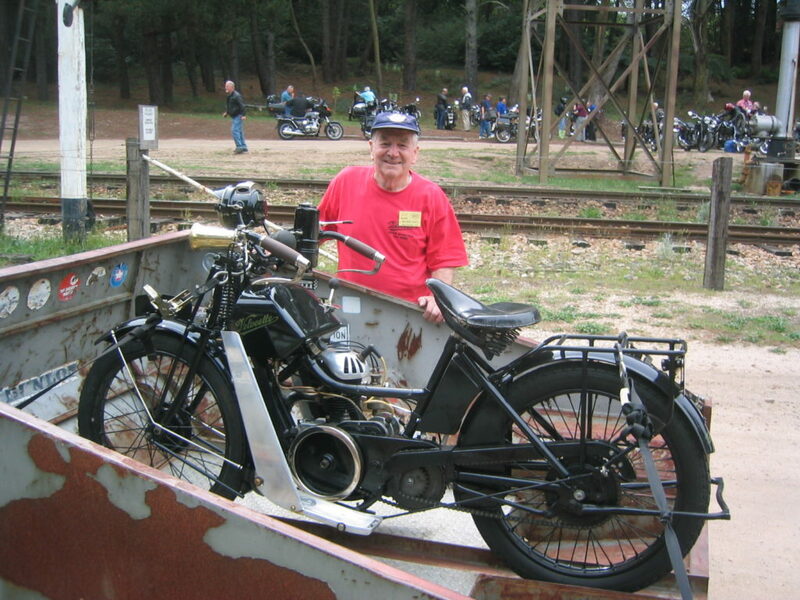 I think that after keeping an early KSS Velo running daily with little spares support in the 1940’s, restoring obscure 1920’s motorcycles held no terrors for him, and he was quite capable of fabricating just about anything needed, from a cylinder muff to a petrol tank. He saved quite a few old bikes in this manner, a testament to his boundless energy – he seemed indestructible! In 2008 he completed a book on motorcycles, his ‘Other Love’ (his wife Barbara was the first great love of his life), with the help of his daughter Glenda. It chronicles a life of buying, repairing, racing, and restoring a long string of very interesting bikes, from his first KSS mk1 onwards. 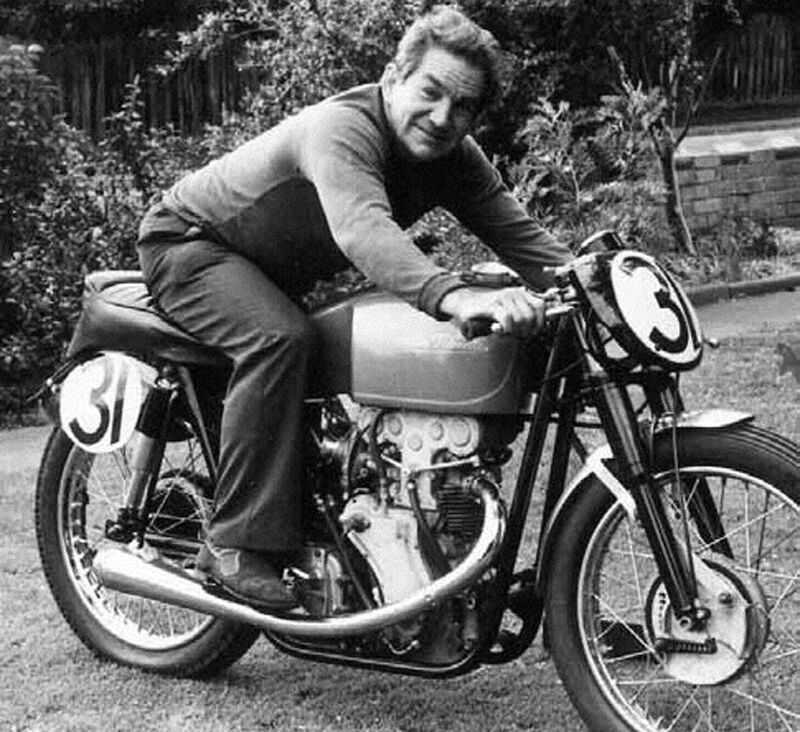 I was particularly fond of his tale of creating the first ‘civvy’ radio set for a motorcycle on his trusty Velocette KSS. He had purchased a surplus radio after WW2 and managed to rearrange its contents into a compact box, barring the speaker. This he worked into a large decorative motorcycle horn, which he turned to face himself. 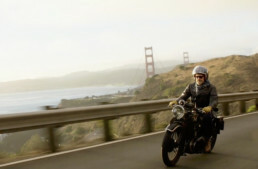 A slightly larger battery helped with the sound, and voila, he could listen to the radio while riding, about 30 years before touring Gold Wings and Harleys had such equipment. Stylishly done, too, as ever with Keith. He loved to pen his thoughts, and wrote four books of prose/poetry, including his work experiences in Australia and abroad, and of course his motorcycles. Keith, his wife Barbara, and his daughter Glenda created a website for all of his books, which can be found here. The following is an example of his storytelling, from his book ‘When God Created Woman’. ‘Well, you had better ask your mother about that’, said Dad, as he and his wife of fifteen years exchanged glances. This stumped the boys a bit; they were used to having requests referred to Mum, but on the subject of an old bike, a bit strange! Dad when on, ‘It’s really your Mum’s bike – it’s a long story’. ‘You see, back in the depression before the war, I was working up on the Murray with a mate. 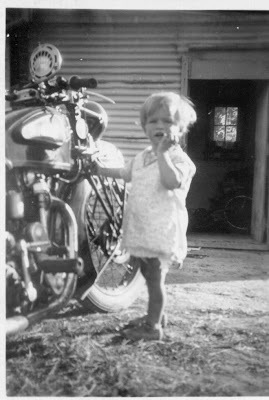 we both owned pretty beat up old bikes, mine a Norton, his a Triumph, we were cutting wood at the time, and ‘batching ‘ in a shed on the property owned by a widow woman with a young sheila that we took to be her daughter. The bike in our shed now, was at that time sitting in the shed where we slept, with one tire missing, and a homemade sidecar shassis topped with a shallow box attached, and it was on a Sunday such as this, that this sheila walked down from the farmhouse and found us checking out the old A.J.S. For that’s what it was, and in the course of convesation she said, “I’ll bet you boys could get that bike going, and teach me to ride!” Such a challenge was soon acted upon, and with the widow’s permission (it wasn’t her mother) the side car was detached and it’s good tire went on the bare rim of the bike, and we soon had it running around the paddock, with the girl showing that she would soon ride as well as we did! A couple of weeks passed, and we paid the widow 2 pounds 10 shillings for the outfit. We had spent some time fitting the ‘sidebox’ to my 16H Norton, and it was time to head back to Adelaide. I guess you could say that we had become pretty chummy with the sheila and it came as no surprise when she said that she was heading home to Adelaide also. She pointed out hat she could ride the AJS which I intended to partly dismantle and take home in the ‘box’. So it was, that soon after we all headed off at daybreak and had a good run, until we were almost to my home town of Crafers in the Adelaide hills, at which point the back tire on the Norton went flat. While the mate and I sat on the side of the road and repaired the puncture, we sent the sheila on with instructions to call in to the house with the white picket fence on the edge of town and inform my family of our impending arrival. We made it home and I was surprised to find that the shiela and the A.J.S. were gone! “She just gave us the message and rode off on her bike”, said Mum. ‘Her bloody bike!’ I exploded. ‘It’s mine!’ seeing my thoughts of a ‘prettied up bike putting a few quid in my pocket disappear. However a couple of beers at the pub with some old mates had everyone laughing at how we had been taken by a bit of ‘fluff’! Then for the first time I had a strange feeling that my loss wasn’t all to do with the A.J.S. What a great story! I sure do miss old Keith. What a fabulous old fella. Keith was an awesome guy, a true one-off!